I’m so excited that Metropol (Canterbury’s leading lifestyle magazine) has featured a beautiful photo of some of the work of Operation Heart on the cover of their March edition! 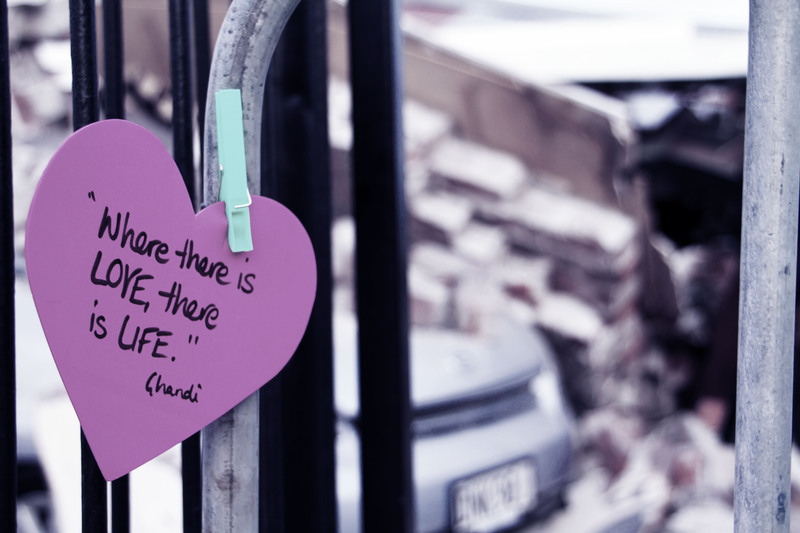 Even in the midst of great tragedy, humanity is drawn to HOPE. 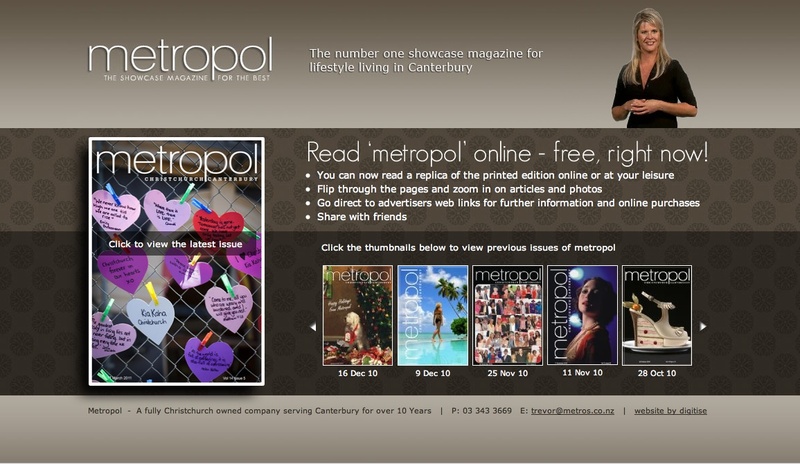 You can check out the Metropol magazine online at http://www.metropol.co.nz. 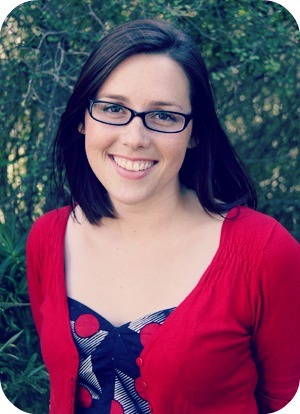 My beautiful Canadian friend sent me a link to this page. Check out the photos featuring Operation Heart on Yahoo!Xtra News. Looking forward to some downtime tomorrow. It’s been a busy week. 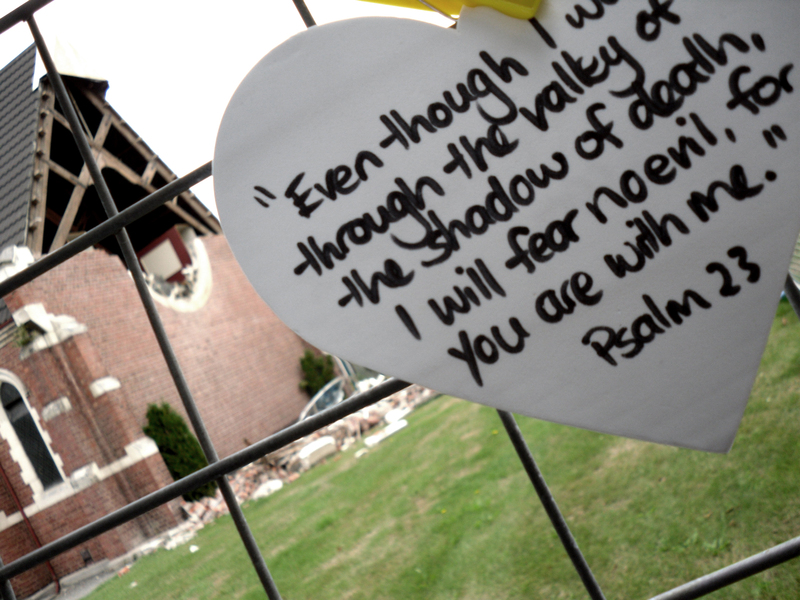 In the wake of the 6.3 earthquake in my hometown Christchurch, I began Operation Heart. 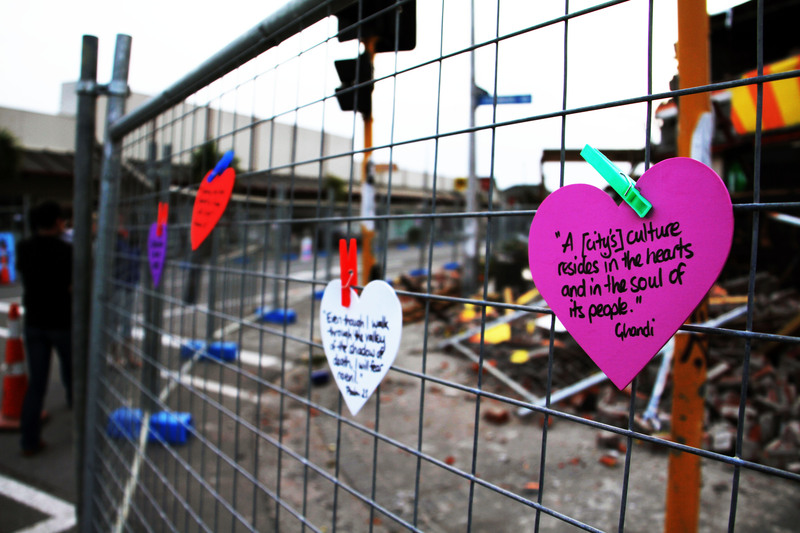 We have now pegged around 100 hearts around the city. 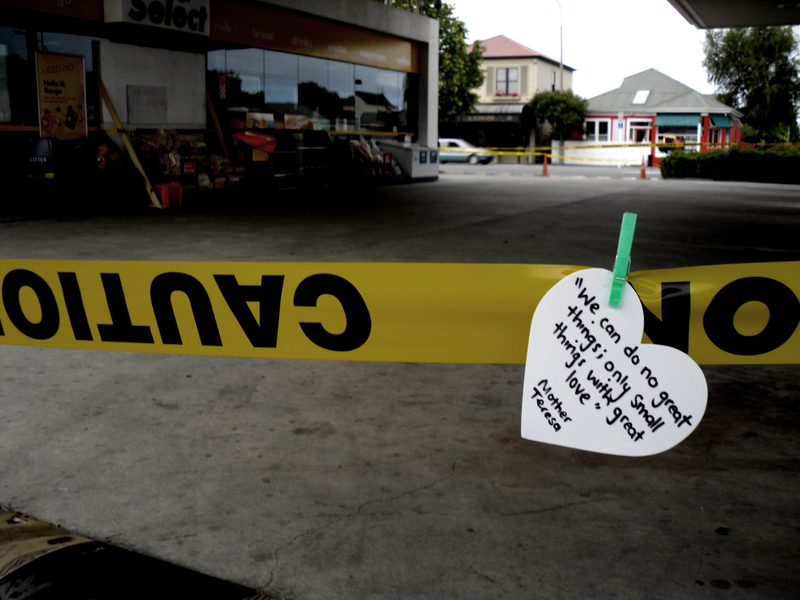 On these hearts are written messages that we hope will inspire and uplift those who stop to read them. Already, we have seen members of the public stopping to read. 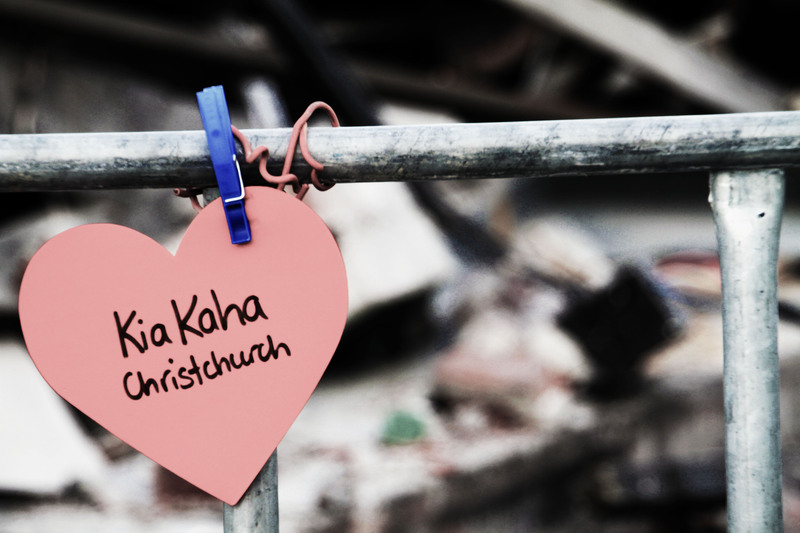 It’s good to stop, to reflect, to take a deep breath and realise that we will get through this…together! Putting one foot in front of the other is what we Cantabrians are going to become very good at in the next few weeks and months. 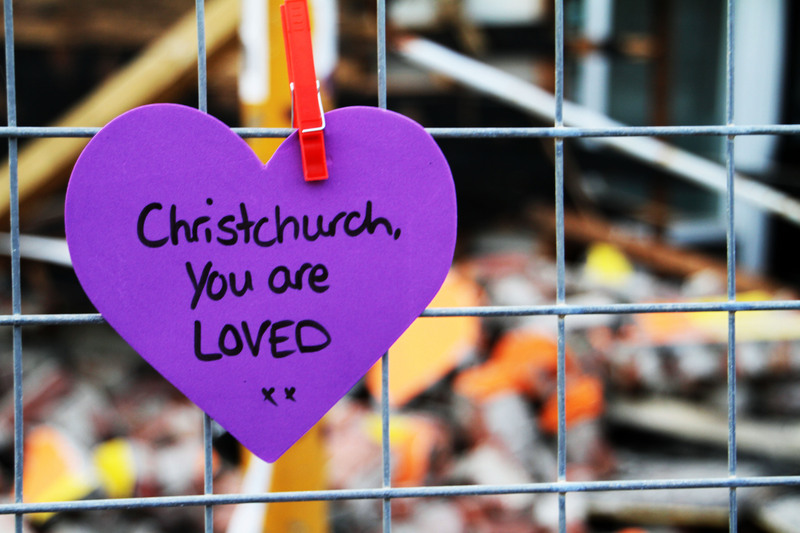 For those of you that live outside of Christchurch, please continue to cheer us on. 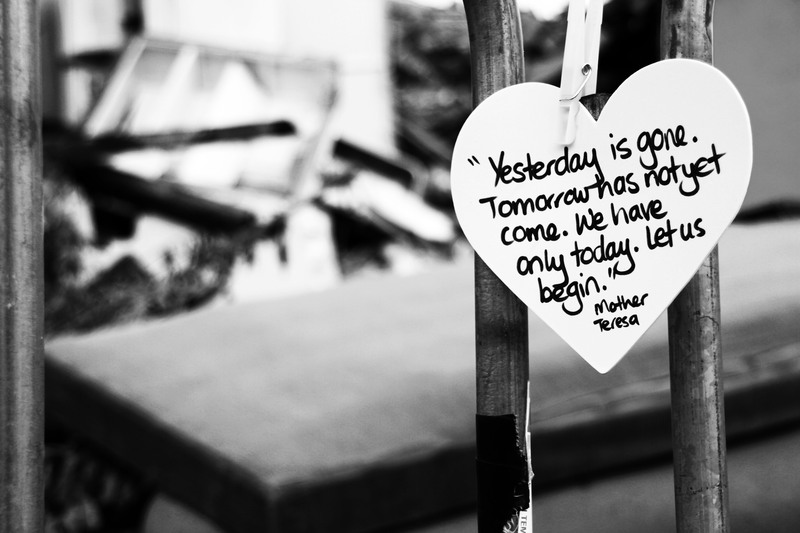 Don’t stop. 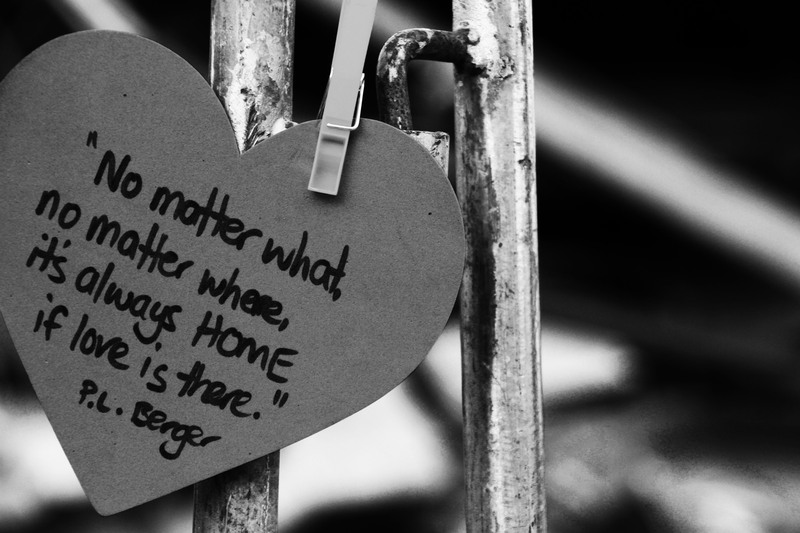 There is a long journey of recovery ahead of us. However, the essence of what it means to be a Cantabrian is still the same. 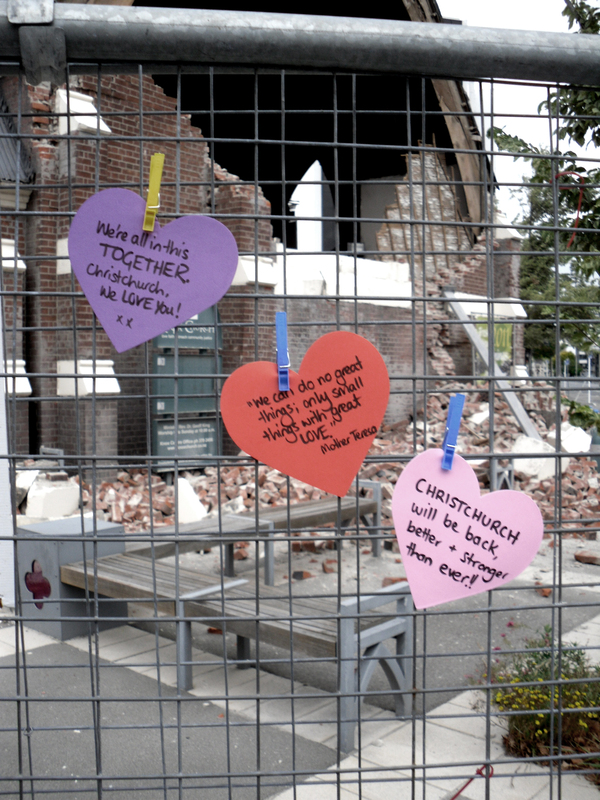 And as Ghandi stated, the culture of a city or nation “resides in the heart and soul of its people.” Our buildings may lie in ruins but our hearts remain strong. I am trying to put some thoughts into words. But there are few words. I’ve spent hours clearing silt and mud from houses and streets. I’ve been to the Red Cross and helped with data entry to track misplaced persons. 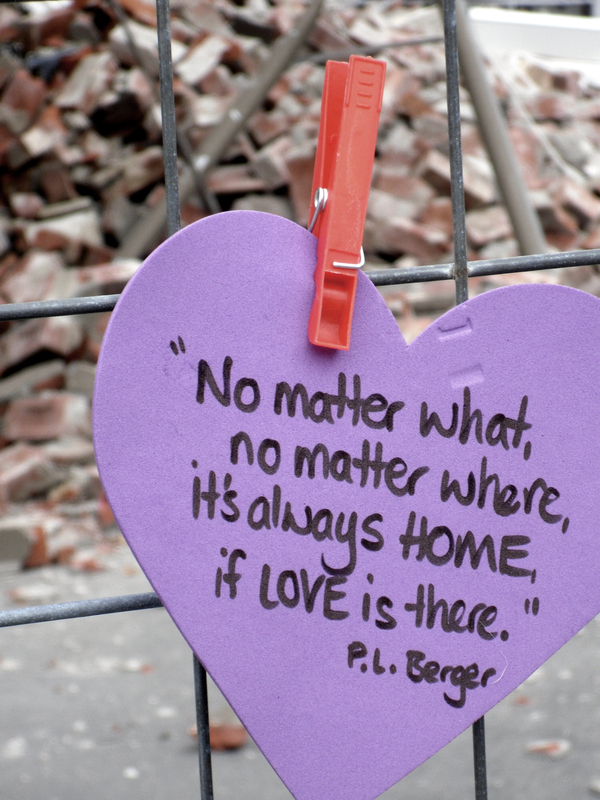 I’ve watched families grieve in the streets as they visit the resting places of their loved ones. 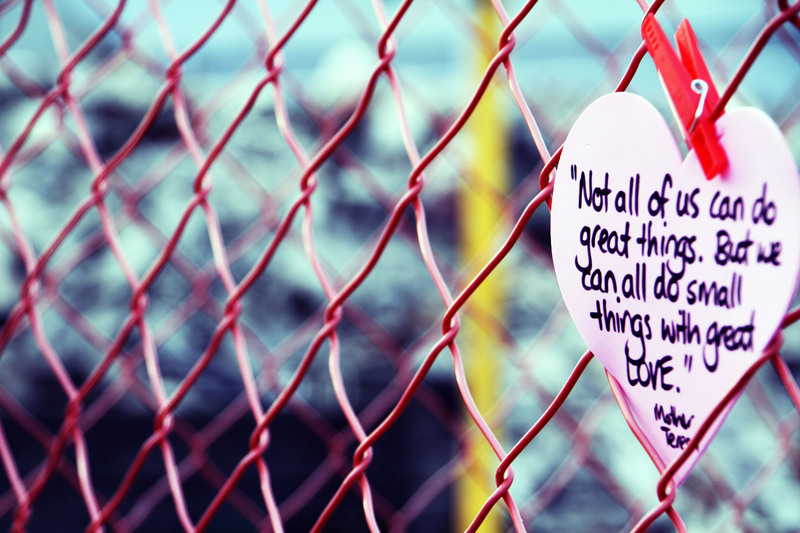 Operation Heart is nothing special. I just wanted to do something to show my love in a creative way to the city that I call home – a city that has literally been broken apart. 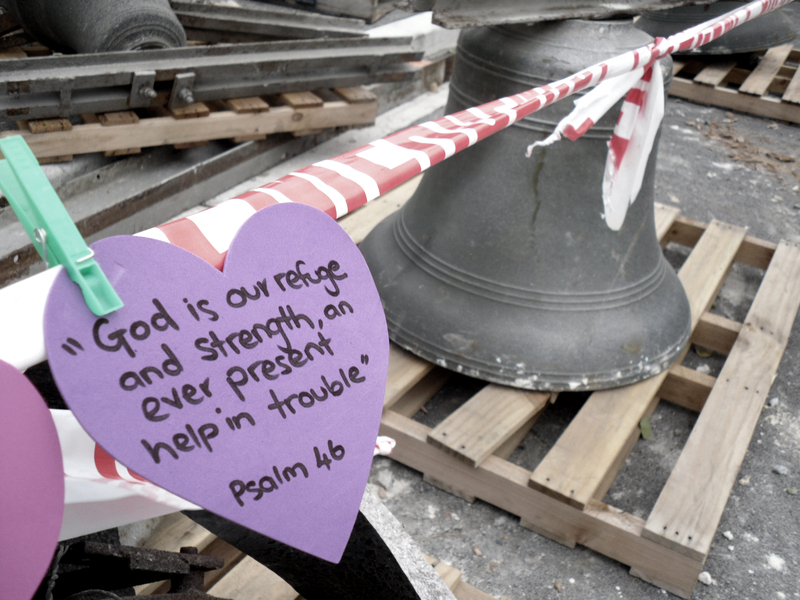 My prayer is that our hearts will stay strong and that hope will emerge from the midst of this terrible tragedy. UPDATE: See more photos and an update on Operation Heart here.